Here are a couple more silhouette shots from Bolivar Flats. This time, Long Billed Curlew’s. Just can’t resist silhouette shots before the sun comes up. A guilty pleasure of mine. Taken with Canon 7D and Canon 500mm F4 IS II lens with 1.4x III teleconverter mounted on Skimmer ground pod with Wimberley II gimbal head. 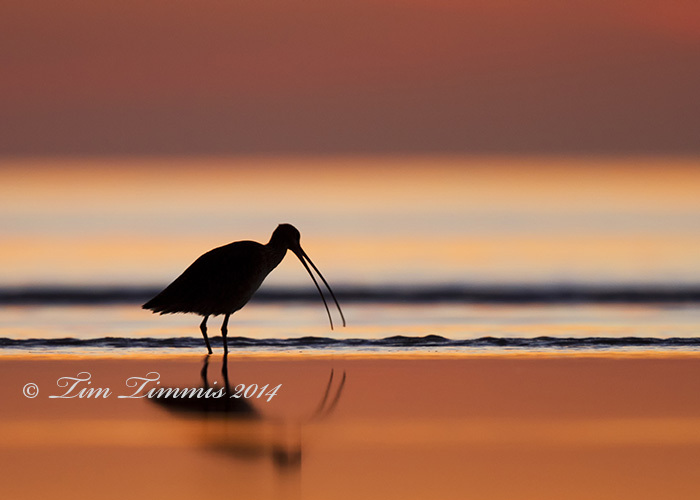 This entry was posted on January 12, 2014 by Tim Timmis. 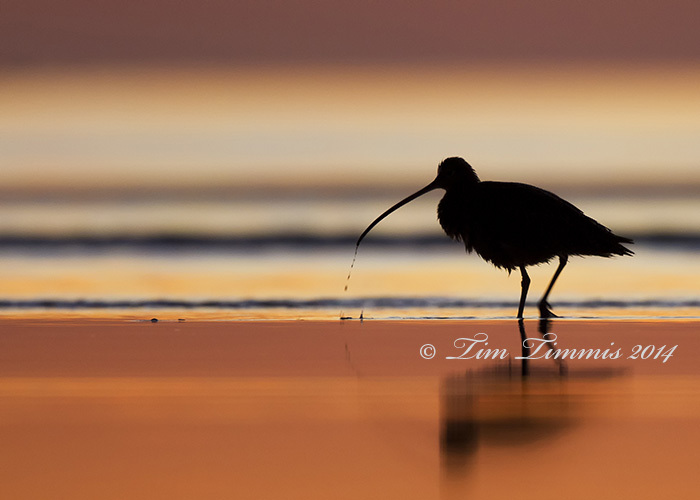 It was filed under Birds and was tagged with bird silhouette, Bolivar Flats, Canon 1.4x III, Canon 500mm F4 IS II, Canon 7D, long billed curlew, Silhouette, Skimmer ground pod, Wimberley II. Great silhouettes, like the combination of bird and background colors. Nothing like early morning. Thanks David. Morning is “magic”. Can’t wait to go back. Thanks Frank. Appreciate your comment. I saw that photo in the Reader and figured it must be yours. Beautiful. Thanks Lyle. The birds have been very cooperative lately. It’s prime time during the winter on the gulf. Thanks. Appreciate you stopping by and commenting. I’ve been taking photos from the prone position for a few years and don’t like my standing up shots anymore. Can’t beat the perspective from a birds eye view. I definitely love those type of shots. Can’t beat the down and dirty!